This Carrot Puff Casserole is similar to a souffle except it is supposed to collapse when you take it out of the oven taking all of the pressure off the baker. Phew! 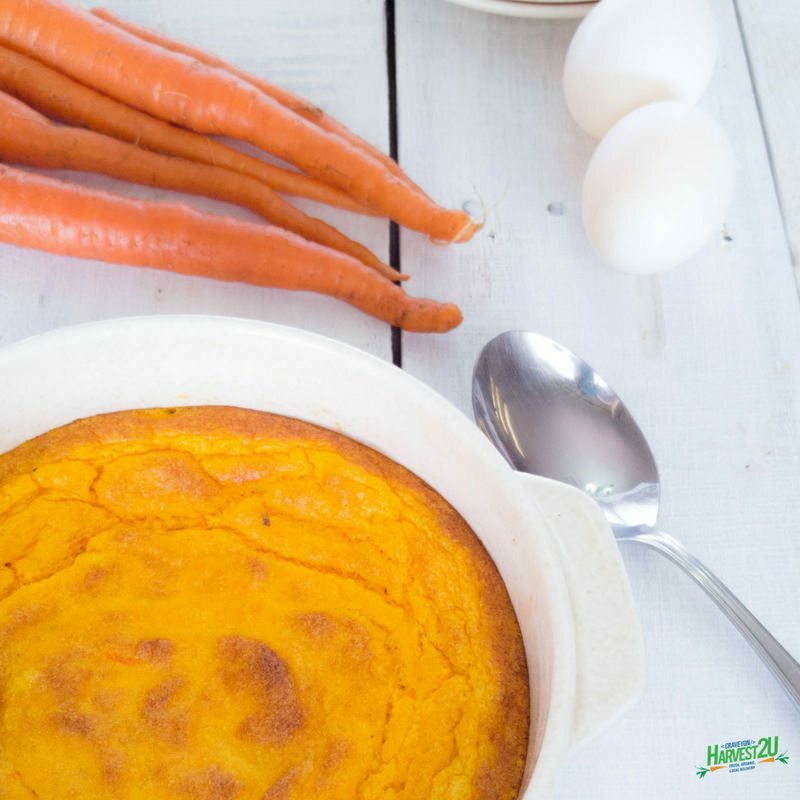 Carrot Puff Casserole is great for brunch or a side dish for lunch or dinner. Fresh carrots not only add an eye-catching orange hue to the dish, but they also add all of that lovely beta-carotene and other antioxidants that our bodies need. Otherwise, they taste just like the chicken eggs you are used to. And you can use the two interchangeably; 2 duck eggs equal 3 large chicken eggs. Preheat oven to 350 degrees. Grease a 1-quart baking dish. Steam or boil the carrots until fork tender. While carrots are cooking, in a large saucepan heat the olive oil over medium heat. Add the onions and cook for 2-3 minutes until translucent. Add flour and seasonings and stir until combined. Add the milk and whisk until combined. Cook until mixture begins to thicken, 1-2 minutes. Remove from heat and set aside. Drain the carrots and puree with an immersion blender or in a food processor. Separate the eggs, adding the yolks to the carrots and the whites in a clean bowl. Beat egg whites with a mixer until stiff peaks form (when you remove the beater the “mountain” of egg white stays tall and does not fall over). Mix the carrots and egg yolks, add the milk mixture. Gently fold in the egg whites just until blended. Don’t over mix! Pour into prepared 1-quart baking dish and bake until golden brown and set in the center, about 30-35 minutes.